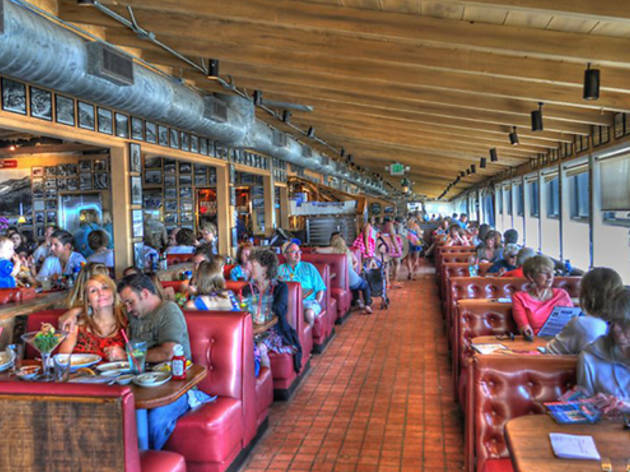 The main draw at this Malibu dining destination is the oceanside seating. 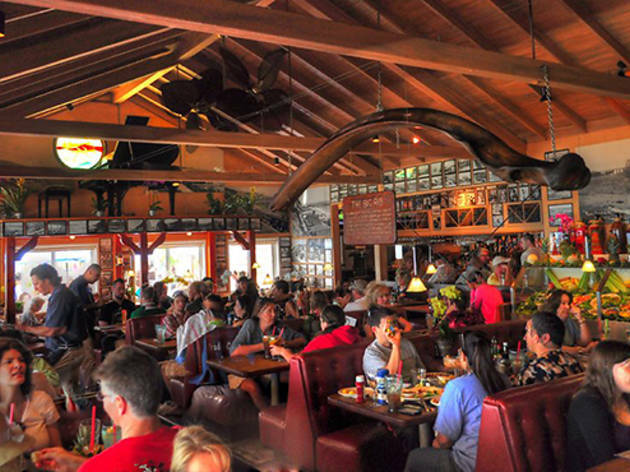 Tucked underneath picturesque Pacific bluffs, the beach cafe offers breakfast, lunch and dinner with front row seats to crashing waves and toes in the sand. Opt for the red leather, diner-style banquettes inside or an alfresco seat on the sand. 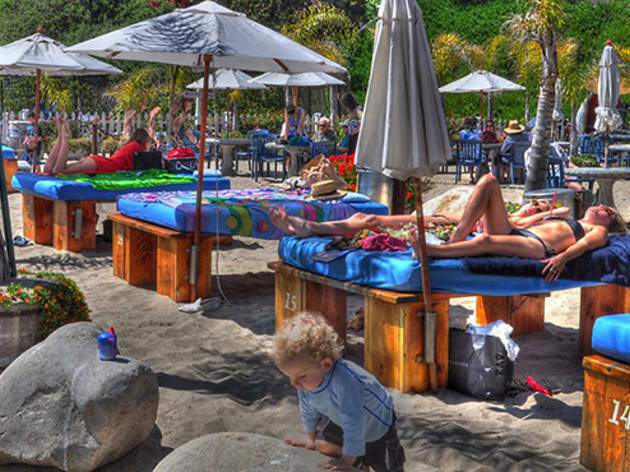 Families and weekend diners fill up on short-order favorites before staking out lounge chairs ($50 for two) and private cabanas ($350-$450) for a day of sun and surf. 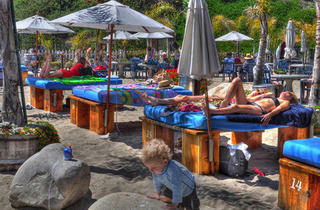 Couples can enjoy sunset drinks and weekly live blues and jazz nights. 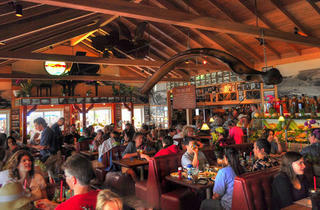 Dinner highlights include Kobe beef ribs and choose-your-own lobster and crab from the live tanks. I am surprised how down hill this place has become. I will take my dinning else where from now on. The waitress brought us lukewarm kobe beef ribs and the 2 lbs of King crab legs I ordered were cold in the center of the meat. Big disappointment. The Manger was rude to me when I had a legitimate complaint. Instead of being apologetic he said I can choose to leave if I didn't like it. 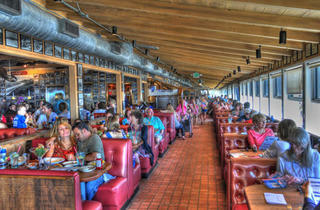 Paradise cove is one of the best restaurants in Malibu! They offer a wide selection of food and a huge list of cocktails! I highly reccomend their Mac and cheese and also their mojito. Also, If you go in the Summer time make sure to get there early to grab some beach chairs while they are still available!